At what point does impediment become a portal? 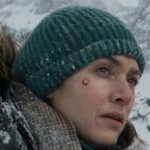 That’s the question posed by The Mountain Between Us, directed by Hany Abu-Assad, which is essentially two characters trying to escape death from both the elements and their deepest fears and regrets. The players are Ben (Idris Elba), a neurosurgeon, and Alix (Kate Winslet), a photojournalist. They meet at an airport, each desperate to make it on time to their respective events – her wedding and a surgery he’s scheduled to perform. An oncoming snow storm has resulted in their flight being canceled. To continue their journey, they rent a charter plane which crashes in pristine, desolate, snow-covered Colorado, with nothing but mountains in a 360-degree pan. Over the course of the film, the duo – she’s broken her leg and, if you count the dead pilot’s dog, they’re a trio – contemplate their likely fate in the wilderness amidst archetypal Saturnine themes – survival, ice, cold, and playing it conservative by staying in relatively secure shelters, ranging from a piece of plane wreckage, a cave and an abandoned house. Saturn confronts archetypal Uranian urges to risk, no matter how reckless it seems to abandon safety. 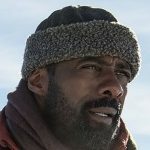 Not surprisingly, these motifs dig into the psyches of both characters, whose emotions are as frigid as the snow that imprisons them externally. How cold are they inside? It never occurs to them to sidle up to the living, breathing, heat-emitting dog. The opening title is telling. The word “the” appears in small caps, diminutive in height beside the more elevated upper-case “M” of “Mountain” which looks like two soaring peaks. Yes, there’s an impediment between these two – he’s logic, she’s gut. Yet they won’t abandon each other. The word “between” also suggests something shared, as though the mountains – previously confining – become a liberating force and privately shared conduit to warmer Venusian territory. Archetype: Survival. Security. Risk. Love.